Nations Press feature news LOOK: Quiapo Road Rage Suspect: "Sorry po Talaga" to Family of Garalde! LOOK: Quiapo Road Rage Suspect: "Sorry po Talaga" to Family of Garalde! SPONSORED LINKS 'Nagdilim lang ang paningin ko,' Quiapo road rage suspect Vhon Martin Tanto says after he was put under police custody. The suspect in the Quiapo road rage slay, Vhon Martin Tanto, apologized on Saturday, July 30, for the death of bicycle rider Mark Vincent Garalde. Garalde died following a heated argument with Tanto in Quiapo, Manila, on Monday, July 25. He was shot by Tanto. 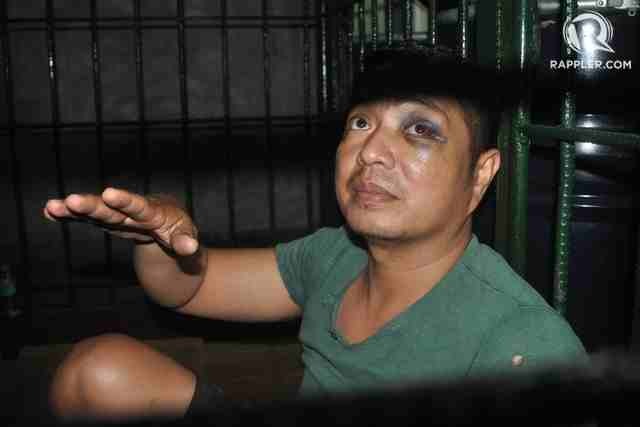 Tanto is now in the custody of the Manila police after he was arrested on Friday, July 29, in Milagros, Masbate.